Includes nine songs by Adrian LeRoy, Jacques Arcadelt, and others, arranged in the 16th century by Adrian LeRoy for voice and four-course guitar. 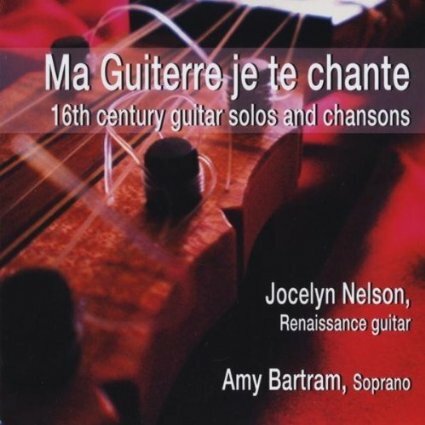 Radio broadcast: Selections from Ma Guiterre je te chante were featured on the well-known early music radio program, The Millennium of Music, hosted by Robert Aubry Davis, in February 2013, and aired on public radio stations in the US, as well as in several other countries. Available on iTunes, CD Baby, and Amazon. 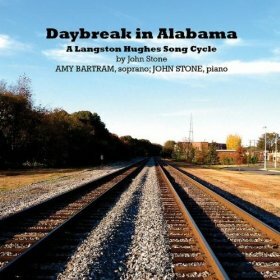 Radio broadcast: The title song, “Daybreak in Alabama,” was selected for the 13-week Song of America radio series hosted by Thomas Hampson on radio stations nationwide in 2011–12. Program 12, “Langston Hughes and the Harlem Renaissance,” aired locally on March 25, 2012, on WQXR. Click here for more information on the series, and a list of songs. The program will be archived at the Library of Congress. I also appear on the 2012 release from the choir of St. Luke in the Fields, O Magnum Mysterium: Christmas in Iberia. I sing with the ensemble and I’m the soloist on Guerrero’s “Virgen Santa.” CD is available here.